If you live in Florida or any other warm climate, chances are you’ve come across a gecko, a small lizard that can come in a variety of colors but is most often green. If you have never seen a real-life gecko, you’ve probably seen a cartoon version on TV, serving as the spokesman for Geico car insurance. Either way, you may wonder how these creatures breathe and whether the same breathing mechanism present in the human body can fit into those tiny bodies. The gecko is a reptile that measures, on average, just a few inches in length. There are many types of geckos, such as the leopard gecko and the crested gecko. While all geckos are similar in appearance, they may have different colored skin and different patterns on their skin. The smallest reptile in the world is a type of gecko native to Haiti that measures just 17 mm in length on average. 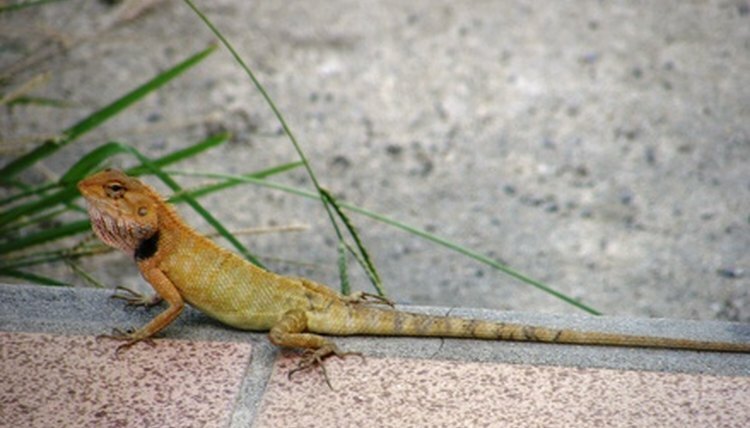 Like humans, geckos and other reptiles have lungs they use to breathe. Their lungs are nestled between the ribs and stomach muscles, much like humans’ lungs are. If you watch a sleeping gecko, you can probably see his small rib cage contract and expand with each breath. Air enters the body through nostrils in front of their heads. As the sun warms up a gecko’s body, the gecko will breathe faster and more deeply, and his heart rate will subsequently increase. Breathing in this manner will circulate more blood to their brains, speeding up their reflexes and boosting their brain power. This is an evolutionary adaptation that helps geckos catch insects for food or escape predators. Geckos can live up to 20 years. But the conditions under which they are kept can drastically shorten that lifespan. After all, they are pretty fragile creatures. If keeping a gecko as a pet, it’s important to house the gecko in an enclosure that allows enough air to circulate. Otherwise, you’re creating a stuffy atmosphere that is neither enjoyable nor healthful. Illness in a gecko can sometimes be diagnosed by visible problems in their breathing. For instance, a gecko that has a respiratory infection may have clogged nostrils and his breathing may seem labored. A soak in warm water may help; but a gecko experiencing severe breathing problems should be seen by a veterinarian, who can prescribe antibiotics and other medication, according to the Gecko Time website.